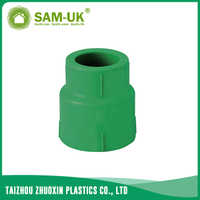 PPR pipe tee for both hot and cold water from China Manufacturer - Taizhou Zhuoxin Plastics Co., Ltd.
PPR pipe tee can be used to transport water. 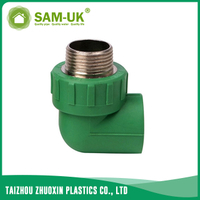 The PPR pipe tee for both hot and cold water divides the pipe line into 2-way, three terminations are connected with the same specification PPR pipe. 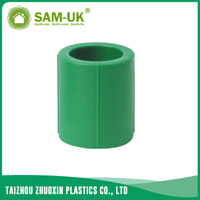 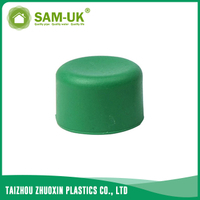 Resistant to high temperatures, good impact strength. 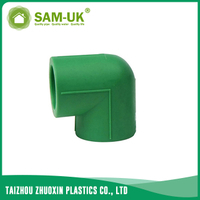 The PPR pipe tee for both hot and cold water is made of new and environmental material material, it is healthy, bacteriological neutral and conforming to drinking water standards. 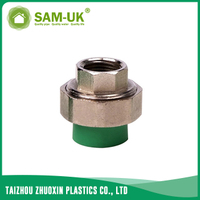 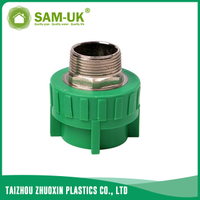 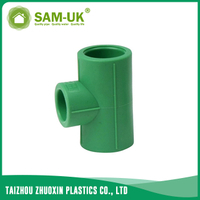 You can rest assured to take the PPR pipe tee for both hot and cold water as a drinking water pipe fittings. 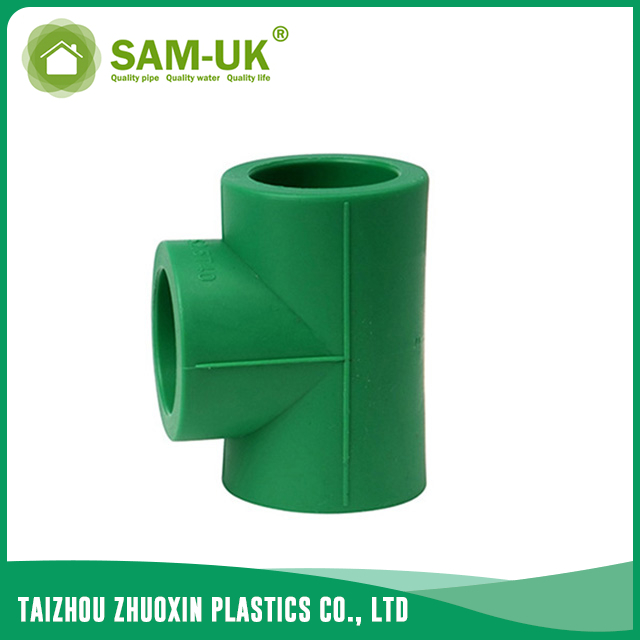 The inner walls of PPR pipe tee is smooth, it can reduce pressure loss and increase flow speed efficiently. 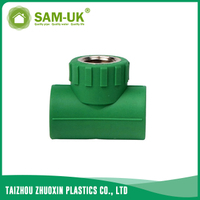 The PPR tee is well designed, it won’t water leakage. Refined appearance of PPR tee ensures suitability for both exposed and hidden installation. 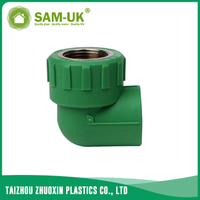 Good sound insulation reduces the noise caused by water flow. 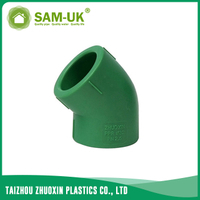 It is convenient to install the PPR pipe tee, and will cost you low construction expenses. 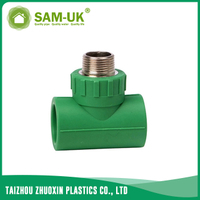 The PPR tee also has long service life, it is economical and practical. 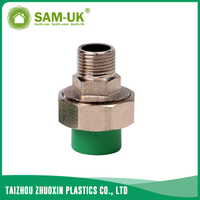 If you are finding fittings used for both hot and cold water, you can also glance over our PPR brass female tee for both hot and cold water, PPR brass female coupling for both hot and cold water and PPR 90 degree elbow for both hot and cold water. 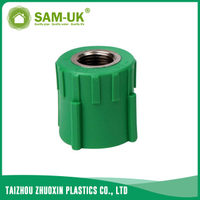 We will provide you best service and products, please rest assured to choose your needs.